the Ardougne Task set is the seventh set of Tasks released by Jagex. Being based in the Ardougne area, it is members-only. Of course, like all other diaries, it contains easy, medium, and hard tasks. However, the release of this diary brought in a new hidden difficulty: Elite. The rewards for doing these tasks seem to be most fitting. Some rewards even help outside the Ardougne area! 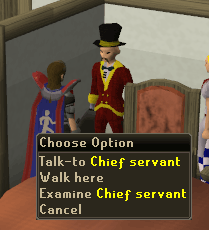 Speak to Dr Orbon in the Ardougne church, the Town Crier in the Ardougne Marketplace, or Aleck in Yanille's Hunter shop. Dr Orbon: Can be found just west of the Ardougne Market Place, inside the church. 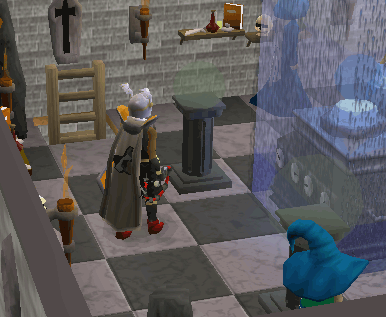 Ardougne's town crier: Can be found in the Ardougne Market Place. 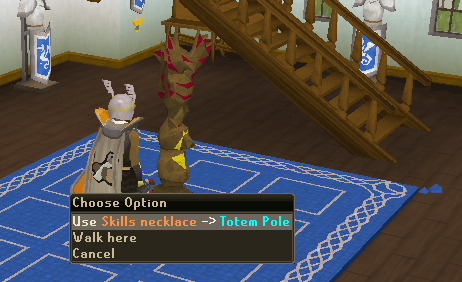 Aleck: Can be found in Yanille's Hunter Shop. 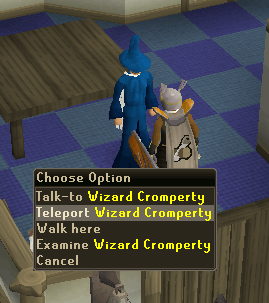 Head to a bit northeast of the Ardougne Market Place to find Wizard Cromperty. Right-click him and click teleport. You must have completed Rune Mysteries to do this. 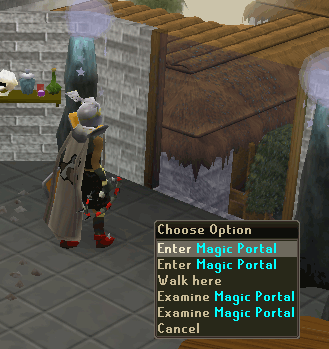 Enter or teleport the Ardougne Market Place. Either go to one of the stalls and attempt to steal something, or attempt to pickpocket a guard. If you are caught, you'll still get the task done. 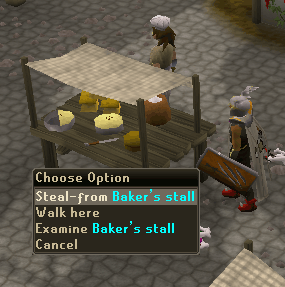 You need at least 5 Thieving in order to steal from the Baker's Stall. 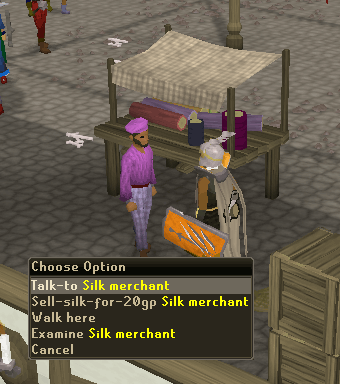 Talk to the Silk Trader in the Ardougne Market Place and offer to sell silk for 120 coins. He'll say that's too high and offer 50. Then tell him you'll settle for 60 coins. Put on some prayers until you lose a prayer point. 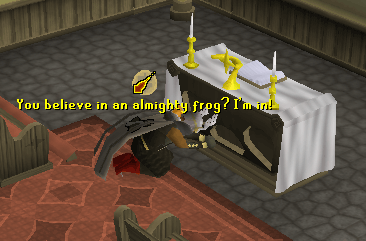 Then go to the altar in West Ardougne. 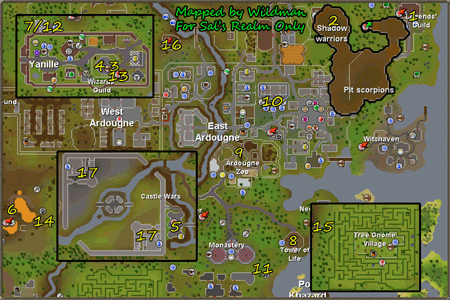 To be able to enter West Ardougne, you'll need to have finished Plague City. Once at the altar, recharge your prayer points. 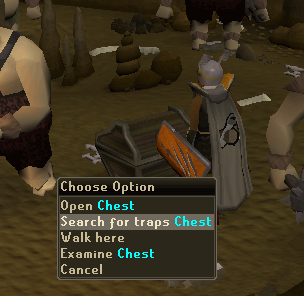 Teleport to Castle Wars and remove all non-combat equipment, then put it all in the bank. Next enter a waiting room, it doesn't matter which one. 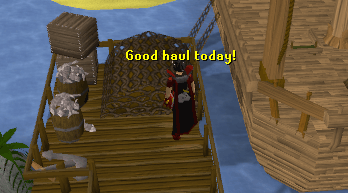 Go to Port Khazard and enter the the Fishing Trawler's ship, then wait for the boat to leave. Once it has simply wait for it to sink and climb on a barrel to get back to shore. 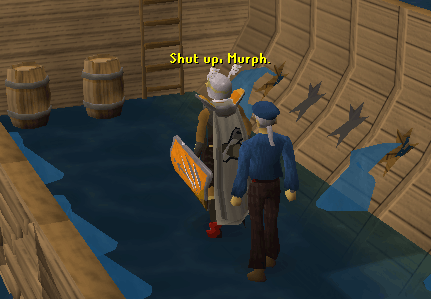 The Combat Training Camp is just northwest of East Ardougne, on the west side of the river. Head to it and open the gates. 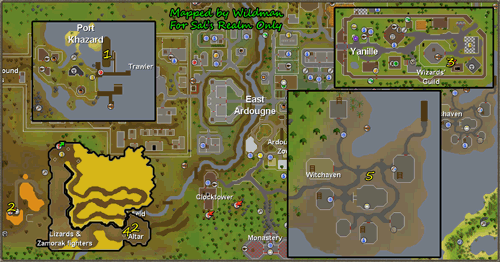 Enter West Ardougne (to enter West Ardougne, you'll need to have completed Plague City.) with a cat as your follower and find a Civilian. 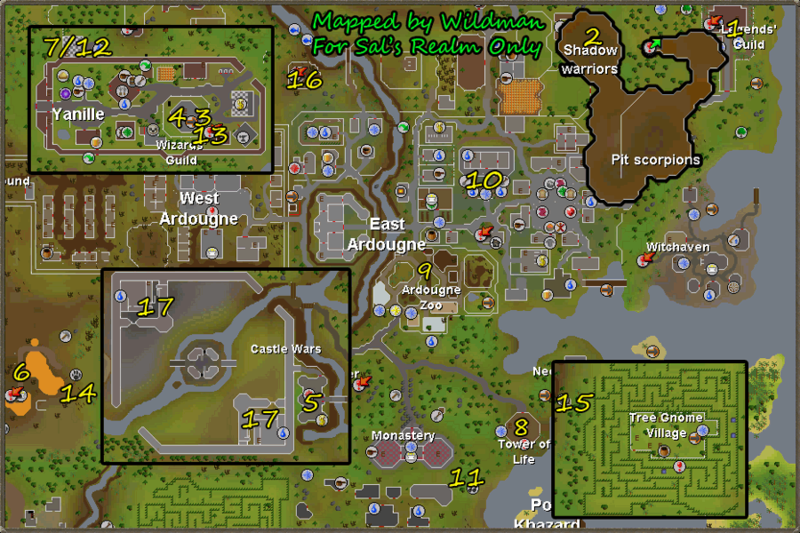 Civilians are found in the Western parts of West Ardougne. Talk to them and they'll tell you about their rat problem. 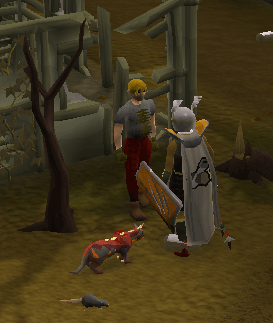 Eventually you'll have some options: Sell your cat for 100 Death Runes or keep your cat. Choose either option, and you'll complete the task. Take a Cowhide and a Unicorn Horn to the dungeon in the Tower of Life. Head to the northwestern part and use both items on the Symbol of Life. A Unicow will appear; kill it to complete your task. To access the dungeon, you need to have completed the Tower of Life quest. 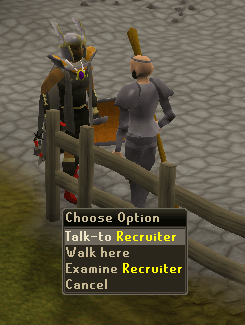 In West Ardougne (must have completed Plague City) you'll find a Recruiter. Simply talk to him and eventually a civilian will throw a Tomato at him. 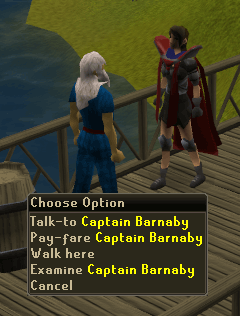 Just a bit southeast of the Ardougne Market Place is Captain Barnaby's ship. Right-click him and pay the toll of 30 coins. Sailing there will complete the task. Then pay another 30 coins to the Customs Officer to sail back. On the eastern side of the Ardougne Market Place, you'll find a Gem Stall. By the stall are two small houses. Attempt to pick-lock the southern one. First of all, you'll need to have found a penguin or two this week. Then, get to the Ardougne Zoo, which is directly south of the General Store. If you haven't done The Hunt for Red Raktuber, talk to Larry, by the Penguin Cage. 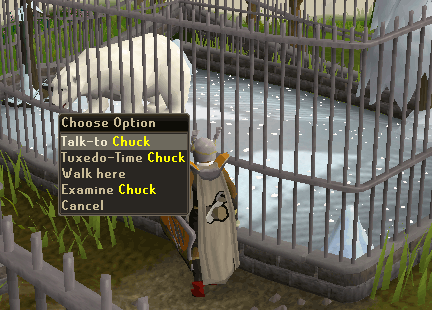 If you have, talk to Chuck, in his Polar Bear Cage. Claim your reward to complete the task. First, find a way to drain some Summoning Points. The most simple way would be to summon a familiar. Then head to the Summoning Obelisk between the Fight Arena and Port Khazard. Recharge your points to complete the task. 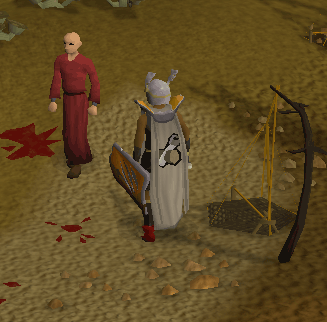 Head to the Monastery directly south of the Ardougne Zoo after completing Monk's Friend. Inside, there should be some Monks. Talk to one to get the party started and balloons will appear. 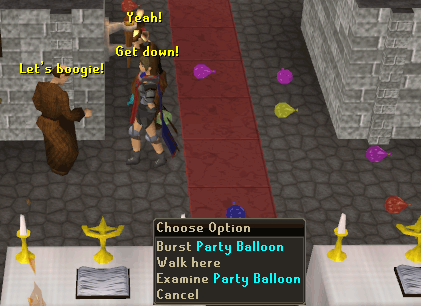 Pop a balloon to complete the task. Make your way to the General Store, just north of the Ardougne Zoo and south of a church. Trade Aemad or Kortan and buy a Water-Filler Vial for 10 Coins. Enter the building north of the Observatory and a bit west of the Goblin houses. 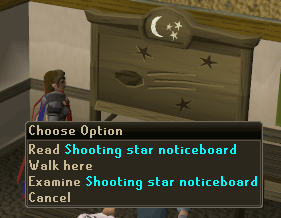 View the noticeboard on the north wall to complete the task. 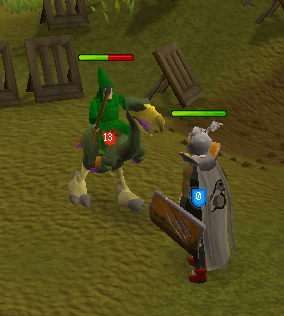 On the Khazard Battlefield which is just south of West Ardougne, you'll need to kill something. It doesn't matter what it is, but the most simple thing to kill would be a Gnome. 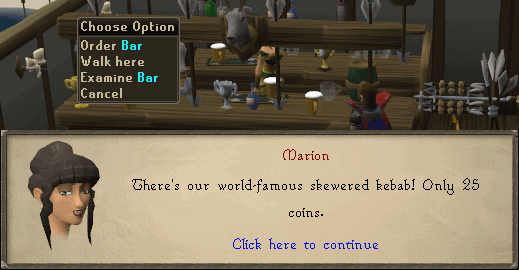 The Poison Arrow Pub is just south of the Ardougne Market Place and west of Captain Barnaby. Enter and talk to Marion. Buy a Skewered Kebab for 25 Coins. Once in Yanille, you can find Aleck's shop just west of the Magic Guild. Right-click trade on him to view the Hunter equipment. Doing this will complete the task. Just north of the Ardougne Market Place is the Servant's Guild. Talk to the Chief Servant and ask him about servants to complete the task. 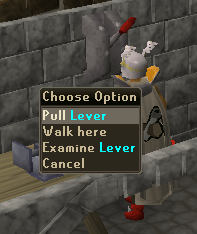 Right-click your Ring of Duelling and click the option to teleport to Castle Wars. Head to the southern dock at Port Khazard. 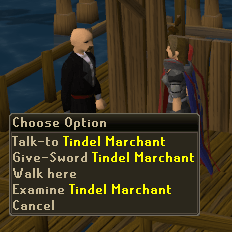 Talk to the man there, Tindel Merchant, and ask him about identifying swords. Take out your Dramen or Lunar Staff and enter Zanaris via Fairy Ring. Then enter the code B-I-S to teleport inside the Unicorn Pen at the Ardougne Zoo. Using Fairy Rings requires starting Fairy Tale Part II: Cure a Queen. There is a small little building just outside West Ardougne, north of a Watchtower. Inside that building is a lever, pull the lever, but make sure you have nothing you'd want to risk losing on. 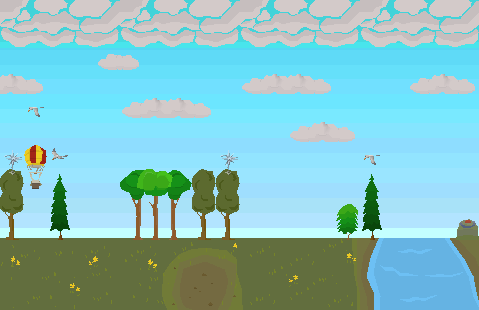 You'll be teleported to the Wilderness and complete the task. 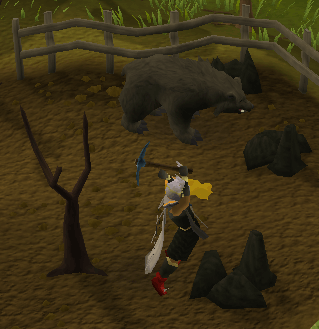 Take out a Rune Crossbow and a Mithril Grapple. 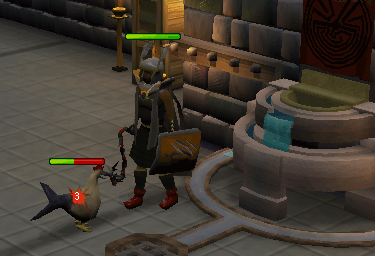 Equip both of them and head to the the Southern Yanille wall behind the pub. Grapple it and you'll climb to the top of the wall. Then jump down to complete the task. Doing all this requires 39 Agility, 21 Range, and 38 Strength. Head to Ourania with at least 1 Pure Essence. Enter the dungeon via the trapdoor by the Prayer altar. 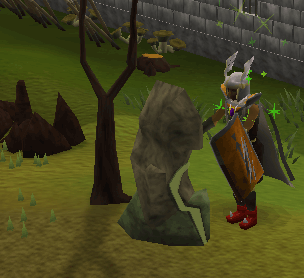 Run to the Runecrafting altar using either path and craft some runes to complete the task. First you'll need to have completed Kennith's Concerns and have a Mining level of 46. Then enter the dungeon west of Witchaven with a Pickaxe. Enter the crack in the wall in the first room. From there, follow the path until you find a pile of rocks you have to climb. Climb them and on the other side is an entrance. Go through it and keep going through doors until you find Rubium on the walls. Mine some and go all the way back out of the dungeon. 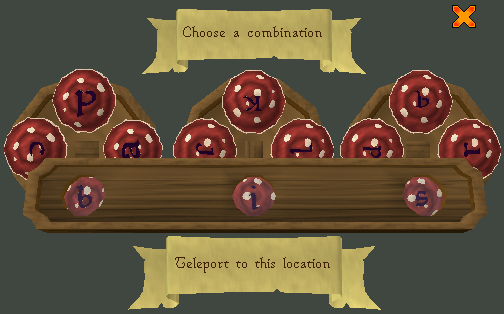 Take the Rubium to Ezekial in the Fishing Shop in Witchaven. Sell it to him for 10 Coins. 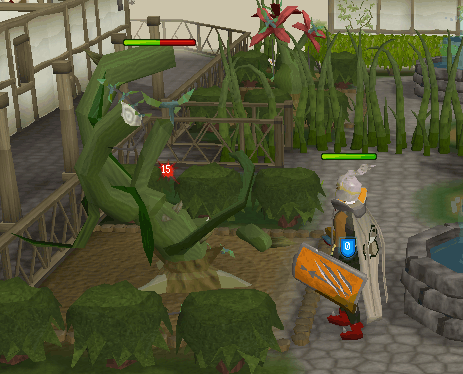 Plant and harvest Watermelons in the patch a bit northeast of Ardougne. This requires 49 Farming to do and 3 Watermelon seeds, a Rake, Spade, and Seed dibber to plant and harvest. You can pay the nearby farmer there 10 Curry Leaves to watch your Watermelons, so that they don't die. To cast the Ardougne Teleport spell, you need 51 Magic and need to have finished the Plague City quest. Using it requires 2 Law Runes and 2 Water Runes. If you haven't done this before, you'll need to head to Entrana with 10 Yew Logs and a Tinderbox. Once there, go to the balloon site and choose to go to Castle Wars. You'll have to guide the balloon yourself since this is your first time. For details on how to do that, visit our Hot Air Balloon Transportation guide. If you have done this before, go to any balloon site with 1 Yew Log and a Tinderbox and choose to go to Castle Wars. 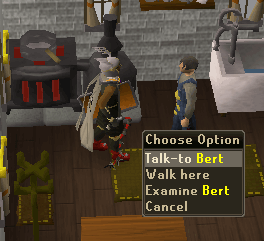 Bert is found in the house just east of the House Portal in Yanille. Talk to him to claim your Buckets of Sand. Find your Enchanted Key from Meeting History and run over to an area between a bridge and a fenced in danger area northwest of Ardougne's northern bank. Rub your key and go to Past - B. If that doesn't work, you're probably standing in the wrong spot. See our Meeting History guide for a specific spot. 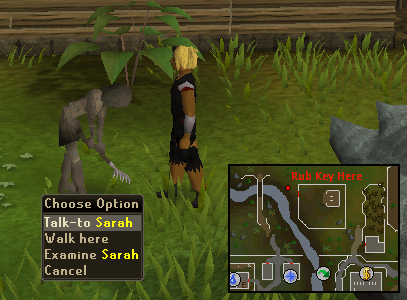 Once in the past, find Sarah in the backyard and have a short conversation with her on Herblore to complete the task. Talk to Jeb in Witchaven, and ask him to go to the fishing platform. You will need either a Small Fishing Net or a Fishing Rod and at least 3 Fishing to catch anything. 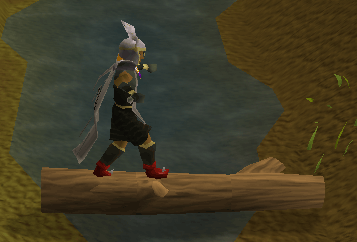 Just west of the northern bank in Ardougne is a Log Balance. Cross it (requires 33 Agility) to complete the task. 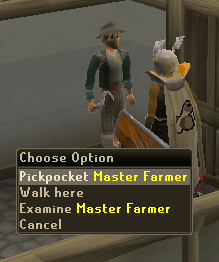 The Master Farmer can be found a bit northeast of the northern Ardougne bank and northwest of the Ardougne Market Place. 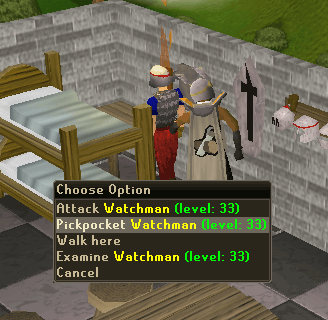 You'll need 38 Thieving in order to pickpocket him. Do so to complete the task. 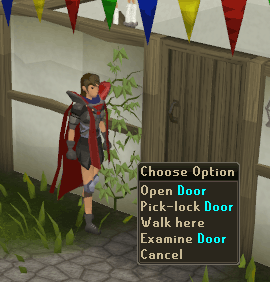 Pick-lock the door on a house east of the Gem Stall in the Ardougne Market Place. Enter the house and you'll find two chests. 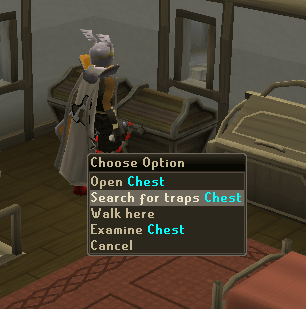 Right-click one and search for traps. Even if you fail, you'll complete the task. 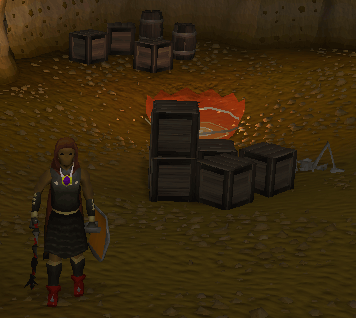 Slightly northeast of the Ardougne Market Place and southwest of the Legend's Guild is a mine, in it is coal. 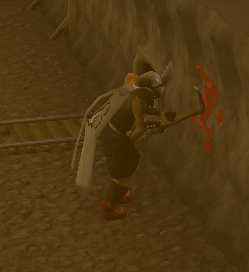 Using a Pickaxe and having 30 Mining or more, mine some to complete the task. Take a Raw Swordfish and a Raw Chicken to the dungeon in the Tower of Life. Head to the southeastern part and use both items on the Symbol of Life. A Swordchick will appear; kill it to complete your task. To access the dungeon, you need to have completed the Tower of Life quest. Enter the Legend's Guild, which is just northeast of Ardougne, with an uncharged Bracelet of Combat or a Necklace of Skills. 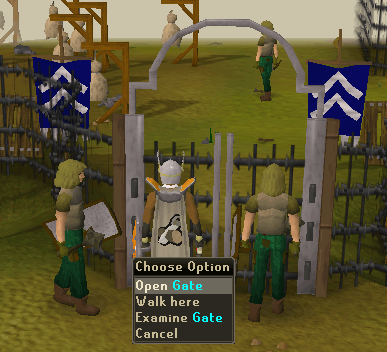 To enter the Legend's Guild, you need to have completed Legend's Quest. Once in the guild, use your Bracelet/Necklace on the totem on the first floor to charge it. Enter the Legend's Guild, which is just northeast of Ardougne. To enter the Legend's Guild, you need to have completed Legend's Quest. Once in the guild, walk down the stairs into the dungeon. Run all the way to the end to find the Shadow Warriors. Kill one to complete the task. You need 66 Magic to enter the Magic Guild. The guild is just west of Yanille's bank. Enter it to complete the task. 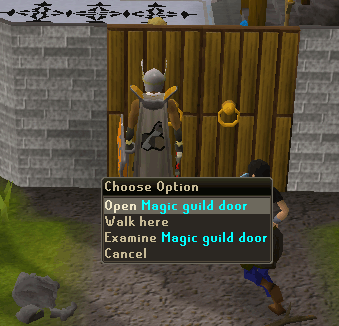 You'll need 66 Magic to enter the Magic Guild, which is just west of Yanille's bank. Once in it, climb to the top using the staircases. Go through the western portal to teleport to Thormac's Tower. Win a game of Castle Wars. World 24 is the most popular Castle Wars world. 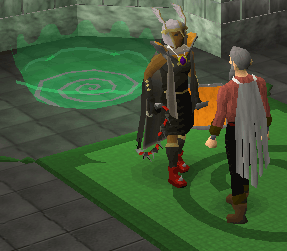 To even begin this task, you'll need to have 71 Magic and finished Lunar Diplomacy. You'll then need to switch to Lunar Magic. 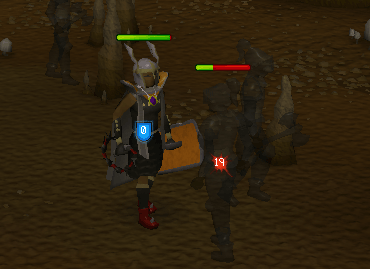 Take out 2 Astral Runes, 6 Earth Runes, and 1 Law Rune and cast Ourania Teleport to complete the task. If you are unable to cast Ourania Teleport, you'll need to talk to Baba Yaga in her chicken house north of the Moonclan's bank. Teleport or walk to the Watchtower with Gloves of Silence (requires 54 Hunter to use). Find a Watchman on the first or second floor. Equip your gloves and pickpocket one (requires 65 Thieving). Take a Raw Cave Eel and Giant Frog Legs to the dungeon in the Tower of Life. Head to the western part and use both items on the Symbol of Life. A Frogeel will appear; kill it to complete your task. To access the dungeon, you need to have completed the Tower of Life quest. 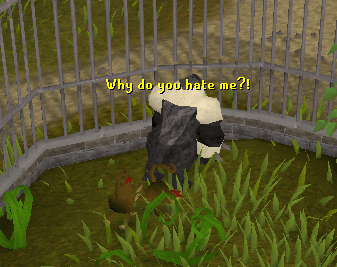 Take out your Karamja Monkey Greegree, if you have one. Head to the Ardougne Zoo, just south of Ardougne's General Store. Equip your greegree at the zoo and talk to a Monkey Minder. He'll put you in the cage to complete your task. Unequip the greegree and talk to the Minder again to get out. After Back to my Roots, you'll be given a Jade Vine Seed. Take that seed and 10 Wildblood Hops to the patch in front of Lord Handelmort's mansion. Plant the seed and pay Horacio the hops to watch the plant grow. Come back about 12 hours later to find that it has fully grown. Check its health to continue on with this task. Come back about 3 more hours later and it will be a Wild Jade Vine level 167. You'll need a pair of Secateurs and a Hatchet to fight it, as you can only attack it with a Hatchet. It can also poison you, so an Antipoison Potion is advised as well as food. 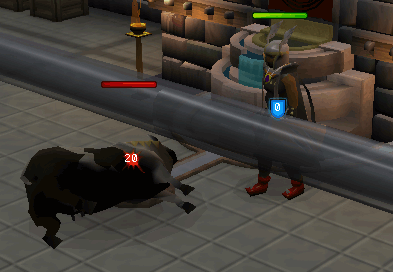 Once it's dead, you'll complete the task and receive 2,500 Slayer experience. To cast the Watchtower Teleport spell, you need 58 Magic and need to have finished the Watchtower quest. Using it requires 2 Law Runes and 2 Earth Runes. Enter Yanille Dungeon either from the entrance north of Yanille or from the entrance near Yanille's bank. 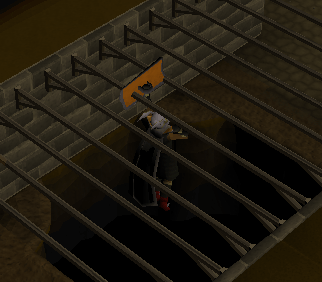 To use the entrance near Yanille's bank, you'll need at least 82 Thieving. 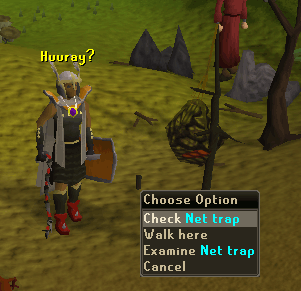 If you chose the entrance north of Yanille, you'll need a knife to slice through some webs to even get in. Once in, cross the ledge and keep going forward until you find the Monkey Bars. If you chose the entrance near the bank, you won't need any items. Once in, you should be right by the Monkey Bars. Cross them to complete the task. 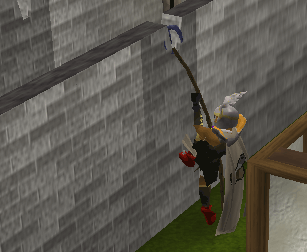 Doing this requires 57 Agility. Take a Rope and a Small Fishing Net to the area near the Ourania Altar. The Ourania Altar is west of the Khazard Battlefield. Set-up a trap using your materials and wait to catch a Red Salamander. 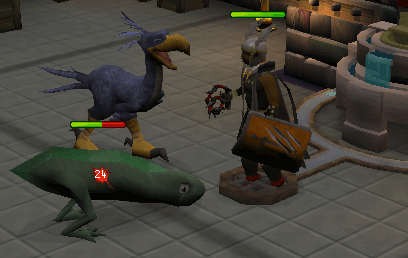 You need 59 Hunter to catch Red Salamanders. 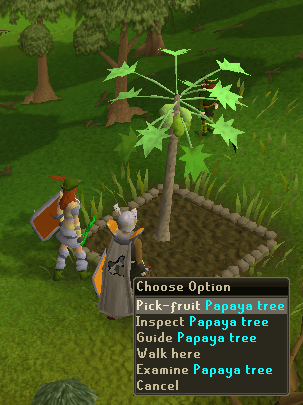 Head to the fruit tree patch near Tree Gnome Village with a potted and watered Papaya Tree or Coconut Tree Sapling. You'll also need 10 Pineapples for a Papaya Tree or 15 Papaya Fruits for a Palm Tree if you want the nearby gardner to watch the tree for you. Once you have planted it, return about 14 hours later and it will be fully grown. Then pick a Papaya or Coconut from your fruit tree to complete the task. The Chaos Druid Tower is just north of where East Ardougne and West Ardougne meet. Head there and pick-lock the door. Go down the ladder and look for a chest. When you have, search it for traps. Even if you fail, you'll complete the task. 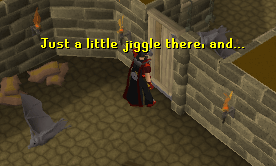 You need 59 Thieving to complete this task. 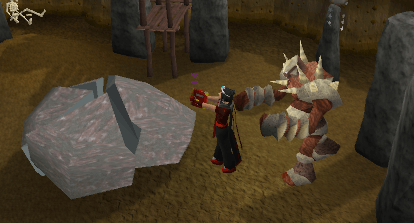 Grab a rock from the table on the main floor of either Castle Wars castle. Then go to the catapult on the outside fortification, and fire the catapult. It doesn't matter if it's a decent shot or not. 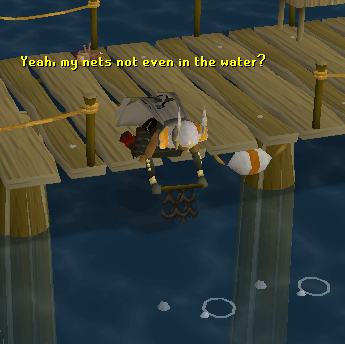 Play the Fishing Trawler successfully with 81 Fishing to have a chance at catching a Manta Ray. Summon your Abyssal Titan and put 7 essence into it. Then go to the altar and craft runes while your essence is still in the titan. 93 Summoning is required to do this. 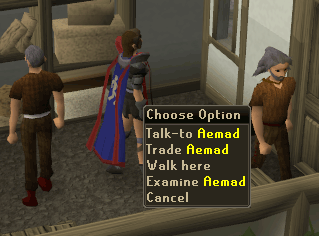 Enter the house southwest of Yanille's bank and go down the stairs. Attempt to pick-lock the door down there with at least 82 Thieving to complete the task. Get a Giant Pouch from the Abyss and fill it with essence. Then go to the altar and empty your pouch. 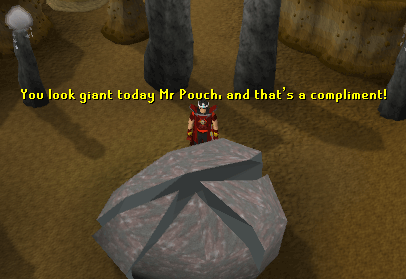 75 Runecrafting is required to use a Giant Pouch. Get a piece of Raw Beef and use it on the stove in Yanille to make Sinew. 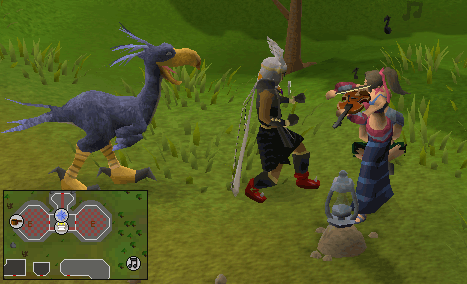 Fletch a Yew Log into a Crossbow Stock in either Witchaven or Yanille. 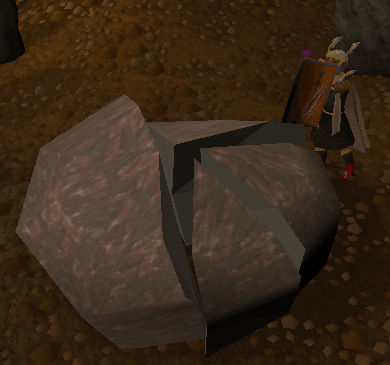 Smith Rune Limbs on the anvils in Yanille. 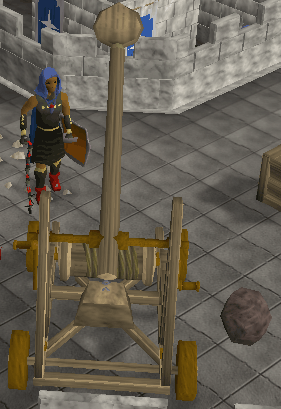 Make a Crossbow String using the Sinew on the spinning wheel in Witchaven. 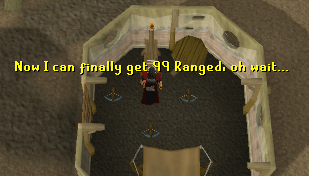 91 Smithing and 69 Fletching are required to do all of this.